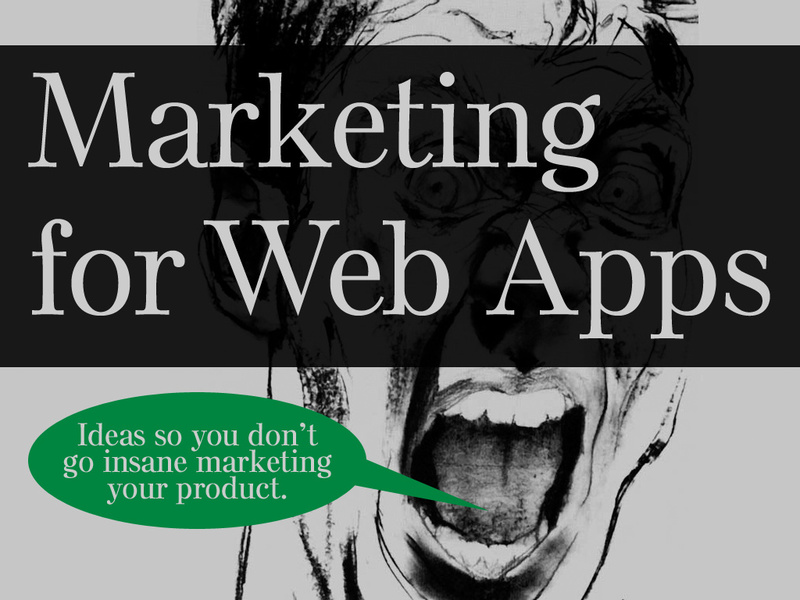 For this presentation, Chris gathered the ‘best’ marketing idea from a number of web app developers, and shared each with a few other marketing tips. 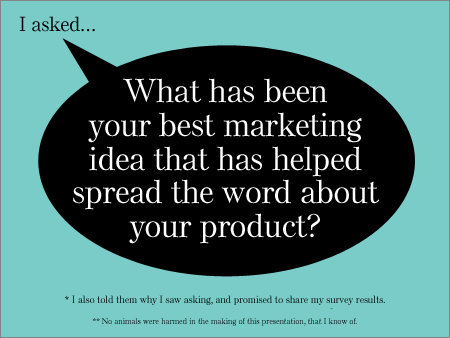 You may also wish to view the presentation at Speaker Deck. The presentation includes marketing insights personally received from the founders of Geni.com, JumpBox.com, Viddler.com, Tumblr.com, JotForm.com, HarvestApp.com, SmugMug.com, Ma.gnolia.com, BeanstalkApp.com, Wufoo.com and GetCashboard.com (and others). Not to be missed!